A new shop dedicated to Moomin products is opening its doors in London’s Camden Market this week. Offering over 3,000 different Moomin products from over 40 different suppliers from around the world, the shop will focus on homeware and sell high-end items such as Moomin bedding and cushions, clothing and stationery. 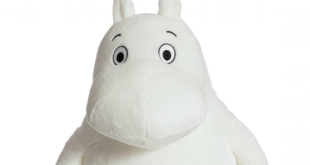 Plush toys and Moomin books will also be available. Situated in the Grade II listed former horse hospital, the shop will have a stylish, minimalist interior and aims to cater for adult fans of Moomin. Magnus Eglund, co-founder of the Scandinavian design retailer, Skandium, said: “I’m a life-long fan of Moomin creator Tove Jansson’s work and have had the ambition to open a dedicated Moomin shop for many years – but was always too busy. “I am thrilled to now be opening our doors in Camden Market, which is the perfect place for a Moomin shop with its strong footfall and mix of cool brands like Dr Martens and the Modfather. It’s a shopping destination not just for tourists but also for Londoners. 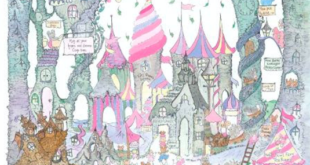 The Moomin Shop Camden Market will be open from 10am to 7pm seven days a week, closing only on Christmas Day. 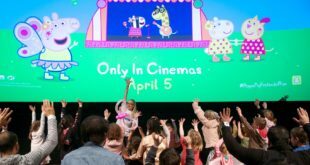 The launch marks the second dedicated Moomin shop in the UK, following the Moomin Shop Covent garden which had huge success since opening its doors in 2011. Eglund is also partnering with the owner of the Covent Garden shop, Patrick Haddad, to launch a new distribution company which will make it easier for other retailers around the UK to stock Moomin products. 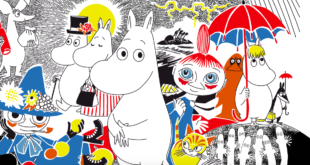 Called Design Distribution, the company will represent 50 Moomin licensees from around the world and stock their products in a third-party warehouse in the UK. Design Distribution will launch in January 2018.